The craniosacral system consists of the membranes and cerebrospinal fluid (CSF) that surround and protect the brain and spinal cord. It extends from the bones of the skull, face and mouth, down to the sacrum, or tailbone area. CSF maintains the physiological environment in which your brain and nervous system develop, live and function. In other words, CSF nourishes the brain and spinal cord. Normally, the production and re-absorption of cerebrospinal fluid produces a continuous rise and fall of fluid pressure within the craniosacral system. Since this vital system influences the development and performance of the brain and spinal cord, an imbalance or restriction could potentially cause any number of sensory, motor or neurological disabilities. Any buildup of pressure could contribute to chronic pain, eye difficulties, scoliosis, motor-coordination impairments, learning disabilities and other health challenges. During CranioSacral Therapy, we use light touch to monitor the rhythm of the craniosacral system, aiming to detect potential restrictions and imbalances. Delicate manual techniques release those problem areas and relieve undue pressure on the brain and spinal cord. It is a gentle method of detection and correction that encourages your own natural healing mechanisms to dissipate these negative effects of stress on your central nervous system. 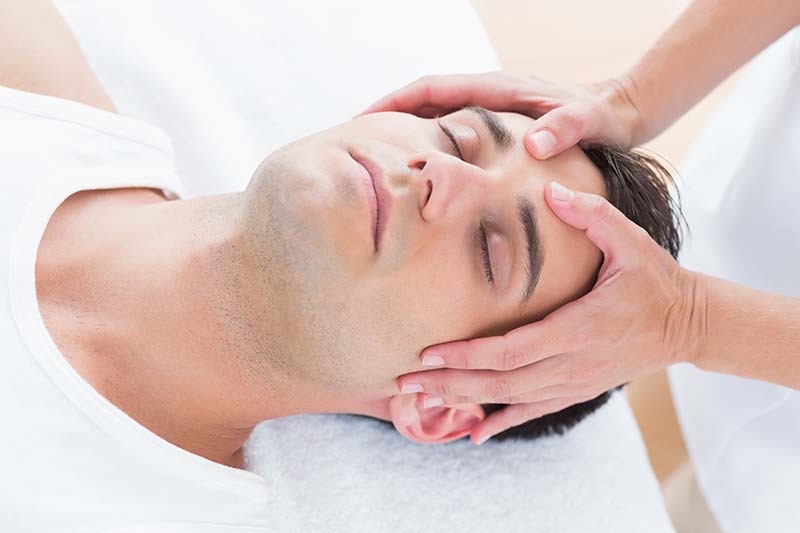 In general, CranioSacral Therapy improves overall health and resistance to disease. A CranioSacral Therapy session can last 15 minutes to more than an hour. It strengthens your body’s ability to take better care of you. It helps alleviate a range of illnesses, pain and dysfunction, such as migraines and headaches, chronic neck and back pain, motor-coordination impairments, stress and tension-related problems, infantile disorders, traumatic brain and spinal cord injuries, chronic fatigue, scoliosis, central nervous system disorders, emotional difficulties, temporomandibular joint syndrome (TMJ), learning disabilities, post-traumatic stress disorder, orthopedic problems and many other conditions. Strengthen your body’s resilience and improve your health with a CranioSacral Therapy session.